Dance Moms: These girls can dance! 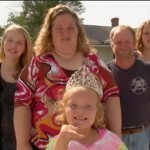 Dontcha Go Dissin’ Honey Boo Boo! Haters Gonna Hate, Kate Gosselin Is Doing Great!